Starting a new year will always be exciting as it offers the promise of hope and spectacular events to look forward to. But how do we make it the best year ever? The saying is New Year, New You. A new year is a fresh start. And because of this excitement, we resort or look for tips as to how we can make our year even better compared to the past years. Look no further, because I got you covered. Most people will go for zodiac signs to start with, some would even invite experts in their houses to draw away bad spirits and so to attract good vibes or good energy. In doing this, they carry the hope in their hearts that they will experience continuous joy and prosperity throughout the year. However, aside from these usual things that most people do, are there any strategies or ways to use in order to make the most of the year? Here are the five tips, I recommend to make your year a better one. Maximize the Use of Advanced-Technology or Innovations. Every year, it becomes inevitable to encounter newly or advanced-gadget sales in the market. These gadgets are intended to make life more convenient and hassle-free. One way to enjoy a better year is for you to have one of these gadgets and let it change your life for a better way. Develop a Positive Outlook on Another way for you to achieve a better year is for you to start creating a good quality mindset by having positive thoughts or outlook on life. This can be done by way of knowing how to channel your energy especially when you encounter negativity and letting go of bad memories. Be Clear and Concise. In order to avoid misunderstanding and confusion when giving instructions, be sure that the language being used is clear and understandable by communicating or speaking your mind. Clarity and concrete language will essentially avoid waste of time and effort, especially when doing a project for work. Start Working, Never Delay. To become productive in anything that you do, always carry the initiative to start working it out and never entertain mediocrity to enter into your life. Always grab every opportunity knocking at your door and be glad to accept and execute what is expected of Accomplish things one at a time and never stop crafting your goals for this year. These are the simple and yet powerful tips that you need to remember. It can transform your life, save you energy and maximize your effort to obtain not only a healthy lifestyle but also for you to have a good life. 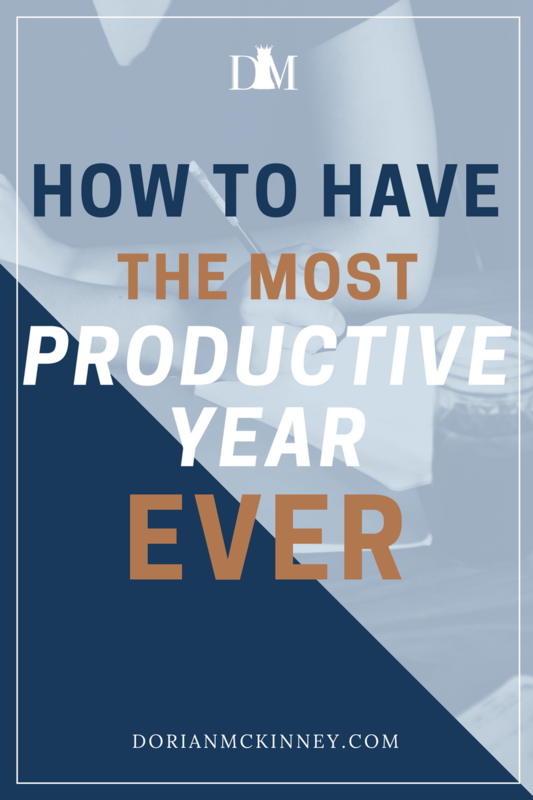 Question: What are your plans on having the most productive year ever? You can leave a comment by clicking here. Sign up to receive access to my FREE library of business & blog resources and printables. Plus get access to my FREE community of brilliant bosses just like you! There is no negativity, just support and encouragement!